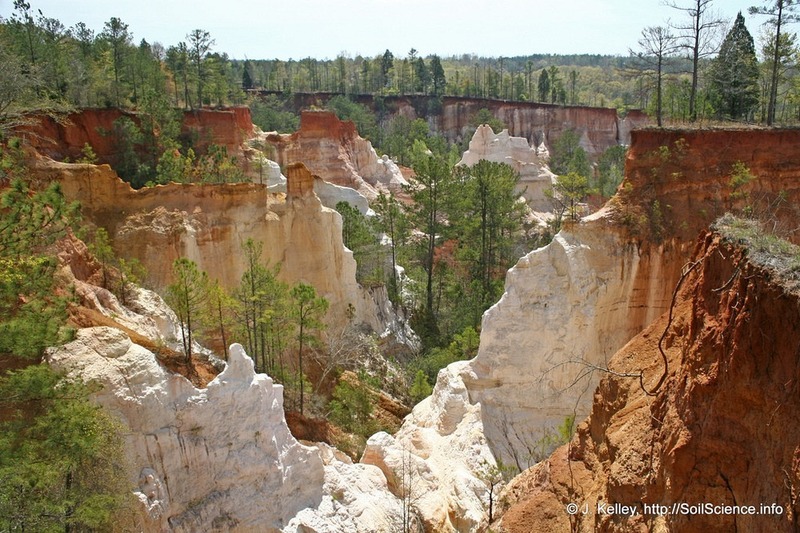 Providence Canyon: The Man-made Natural Wonder…. Approximately 150 miles southwest of Atlanta, in the US state of Georgia, is a network of gorges and massive gullies lovingly called Georgia’s “Little Grand Canyon.” It is considered to be one of Georgia’s “Seven Natural Wonders”, except it isn’t at all natural. These impressive canyons were created not by the action of a river over millions of years but by rainwater runoff from farm fields in less than a century.